The year is 1814, and springtime is in full bloom at Pemberley. Elizabeth and Mr. Darcy have married. But now a new romance is in the air, along with high fashion, elegant manners, scandal, deception, and the wonderful hope of a true and lasting love. 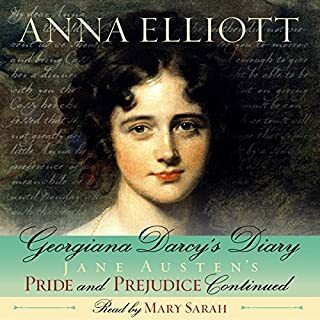 Shy Georgiana Darcy has been content to remain unmarried, living at Pemberley with her brother and his new bride and convinced that the one man she secretly cares for will never love her in return. The narrator has adopted a British accent but with strange intonations in places... like ‘ont’ instead of ‘aunt’. I found this annoying at times. However, the story line was good. This book was ruined by the awful narration. The mispronunciation of so many words would have done an episode of the tv programme ‘Allo, Allo’ proud! Otherwise, a pleasant enough story. A gloriously witty novel from Sebastian Faulks using P.G. 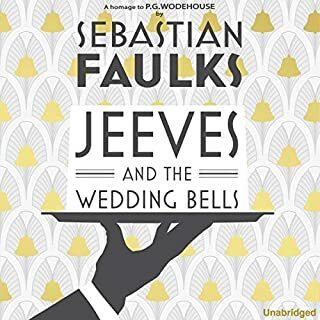 Wodehouse’s much-loved characters, Jeeves and Wooster, fully authorised by the Wodehouse estate.Bertie Wooster, recently returned from a very pleasurable soujourn in Cannes, finds himself at the stately home of Sir Henry Hackwood in Dorset. Bertie is more than familiar with the country house set-up: he is a veteran of the cocktail hour and, thanks to Jeeves, his gentleman's personal gentleman, is never less than immaculately dressed. Narrator and text in perfect harmony. What a great book this is.... expertly written and in sympathy to the original. The narrator voices Bertie to a ‘T’. What would have made A Question of Trust better? Insipid story line with unlikable characters. 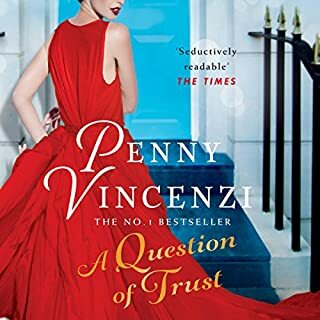 Has A Question of Trust put you off other books in this genre? Did Sandra Duncan do a good job differentiating each of the characters? How? What character would you cut from A Question of Trust? They all seemed to be selfish and rather cruel. A likeable character would have lifted this book up one star.